"...grant me the serenity to accept the things I cannot change; the courage to change the things that I can; and the wisdom to know the difference". 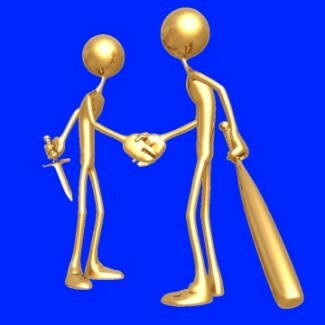 Conflict resolution covers a very spectrum ranging from domestic disputes through to political conflicts and warzones. In a business and organisational context conflict arises between colleagues; between departments, groups and teams; up and downline the line between managers and their subordinates. 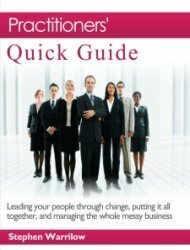 The underlying elements of most of these organisational conflicts are the 3 "P's" of people, personalities and politics. In a change management context, as a change leader you should be fairly well prepared for this. You will have read and applied the materials outlined in this site and specifically the Practitioners Masterclass. You will have undertaken a thorough cultural analysis and asessment of the resistant and supportive sub-cultures and the informal networks connected to and emanating from these groups. You will also have undertaken a thorough stakeholder analysis and using my EEMap(c) process you will have identified, quantified and assessed the impacts of the proposed change. And all of this BEFORE embarking on your change initiative...?! Nevetheless, human nature being what it is, there will always be conflicts surrounding a change initiative. From your personal perspective it very much depends on the extent to which you have power and thus authority to influence outcomes, or the degree of influence without power that you are able and prepared to exercise. As a change leader it is helpful to have a basic framework for resolving conflicts within work place teams. Conflict of opinions is inevitable and healthy and necessary to the overall effectiveness and productivity of the team. It may sound obvious but clear terms of reference for the team will go a long way to mitigating destructive conflict. Depersonalising conflict within teams is essential and the key to depersonalising conflict within teams is focus - on the issues and ideas not personalities. There is an approach that I recommend to building a shared perspective. It is based around 3 core concepts and a process comprising a series of structured steps. I have twice in my career had the terrible misfortune of working for what can best be described as a toxic boss. Toxic because they thrived on conflict and it was a hallmark of their dysfunctional style of leadership. This is someone who has responsibility over a group of people or an organisation, and who abuses the leader-follower relationship and who leaves the group or organization in a poorer condition after they have left. I have discussed, this together with 3 practical strategies I developed for dealing with them, in the section on Toxic Leadership - "The abuse of power and it destructiveness, and how to spot it and how to avoid it." The higher your contacts are up the ladder, within an organisation, the greater the extent to which the political dimension is important. At director level, in all large organisations, the political dimension can shape the decision making process very considerably and will often be the major determining factor. How to deal with resistance created or exacerbated by political factors? 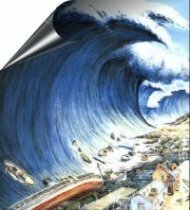 (2) Do not wait until a political issue becomes critical, as this point it will have gained momentum, and it is probably going to be too late. (3) Do not take action to quash resistance but only to accomplish a positive goal. This may of course mean sidelining, removing or replacing deeply resistant individuals. This is a serious and important point, as there will always be people who will resist change to the death. The tendency is to expend a lot of energy trying to get them on side. John Kotter says: "Forget it, get rid of them, no matter who they are in terms of power or relationship to you because if you let them inside the tent they will do so much damage they will undermine the change." This is an excellent introduction to some of the key themes we are going to explore. Please allow a minute for the presentation to load. The best viewing experience is on "full screen" setting. 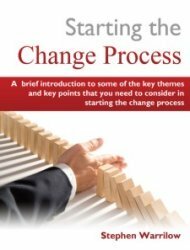 Here is an extract by Dr. Bennet Lientz - an internationally-recognised authority in IT management, project management, process improvement and E-Business, on "Politics and the Resistance to Change". "You have to understand the specific political situation in a business unit and then attempt to employ this knowledge in getting support for supporting change." The negative aspect of organisational politics occurs when individuals drive their own personal agendas and priorities at the expense of the wider corporate agenda. The motivation for this type of politics is partly personal advancement up the “greasy pole” and partly the lust for power that some of us (yes I am guilty of this too!) have to control resources, decisions, people and outcomes. Of itself this need not necessarily be a bad thing, it only becomes that when it jeopardizes the corporate strategy and (in my view more importantly) damages people. In a silo-structured organization, the politics of the functional managers that develop protective strategies of their own “fiefdoms” becomes counter productive and frequently obstructive to the objectives of a change initiative that is aligned to a corporate vision and strategy. "If there is a place where the blame for silos and politics belongs, it is at the top of the organization. Every departmental silo can ultimately be traced back to the leaders of those departments who have failed to understand the interdependencies that must exist among [the departments]"
As you will know from what I have written about change management models and methodologies on this site and in the Practitioners Masterclass, I strongly favour a programme management based approach to initiating and implementing a major organisational change. 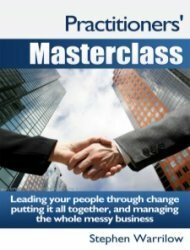 One of the many reasons for this preference is that the comprehensive and holistic programme based approach focuses on the achievement of the organisational strategic vision by ensuring that the envisaged organisational benefits are actually realised. But this is only possible if the CEO and other directors and senior management take – and stand by - the hard decision to shift the balance of power and support the change programme. This means empowering the change management leadership and team to have authority over functional management within defined and boundaries and terms of reference. There are many situations where we are not in charge, we do not have formal authority and yet we need to resolve things and get things done. 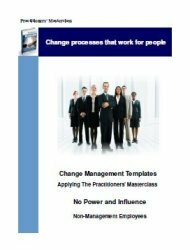 In change management there are often situations - especially political situations - where as change leaders and change managers we can not force people to do things and we do not have formal authority to influence outcomes and often there is resistance and sometimes conflict. This where the power of informal networks matters, in change management this really is one of the most powerful conflict resolution tips - the power of influence without authority - the influence that is gained by the practise of "the law of reciprocity". This has been effectively addressed by Dr Allan R.Cohen and Dr David L.Bradford in their much acclaimed book "Influence Without Authority". Immunity to change - Why is personal change so hard?